Education is one of the key sectors that has benefited from the continuous developments and innovations in information and communication technology (ICT). Web-based facilities now provide a medium for learning and a vehicle for information dissemination and knowledge creation (Khine, 2003). Accordingly, developments in ICTs provide opportunities for educators to expand and refine frameworks for delivering courses in innovative and interactive ways that assist students achieve learning outcomes (Kamel & Wahba, 2003). However, the adoption of ICTs has also created tensions between traditional control and directiveness in teaching and student- centred learning, which relies on flexibility, connectivity, and interactivity of technology-rich environments. 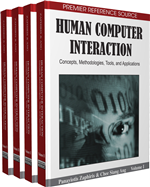 This chapter examines the introduction of Web-based technologies within a media studies course. The objective was to establish a community of learning, which provides students with a portal or entranceway into a common work area and out to networks of media related organizations. So doing, a pilot study was conducted within the Department of Communication at Texas A&M University to blend Weblog facilities with a classroom setting to enhance students’ interpersonal and content interaction, and build citizenship through participation and collaborative processes. Four key aims frame this study: 1. provide an accessible, interactive online environment in which students can participate with peers and engage with new media technologies within a learning community setting; 2. develop an instructional technology framework that enhances the learning experience and outcomes within online educative environments; 3. establish a portal or gateway for students to access media advocacy and special interest groups and enhance and diversify perspectives on global media; and 4. evaluate student-learning experiences facilitated through innovative online instructional technologies.